whilst we do the work. pamper you and your friends. up to 7.5% return on your investment. Read on or contact us now! If you are looking for luxury yachts for sale, then look no further. With the TradeWinds Luxury Yacht Ownership Program, we make it as simple as 1, 2, 3 for you to become a yacht owner. Set sail with TradeWinds and experience the value of a fully managed, professionally crewed and provisioned yacht. It’s easier than you think! To quote Mark Twain, maybe it's time you "throw off the bowlines. Sail away from safe harbor and catch the wind in your sails." Visit unforgettable destinations and create a lifetime of memories aboard your stunning, brand new Fountaine-Pajot built catamaran and truly experience the benefits that come with yacht ownership. From the moment you step aboard, to the moment you step back on dry land, let us look after your every need. With your very own professional crew, including a captain and chef, your yacht will be provisioned with everything you need to ensure that your charter is as fun and relaxing as you want it to be. We'll plan the itinerary, so all you need to decide is whether you take to the helm or to the hammock! So maybe now it’s time for you to explore, dream and discover with our TradeWinds Luxury Yacht Ownership Program. The TradeWinds Luxury Yacht Ownership Program means that choosing your own yacht has never been simpler. Our ownership range includes three models for you to choose from – so no matter your requirements, we have the right yacht for you. Ready? Let’s go! 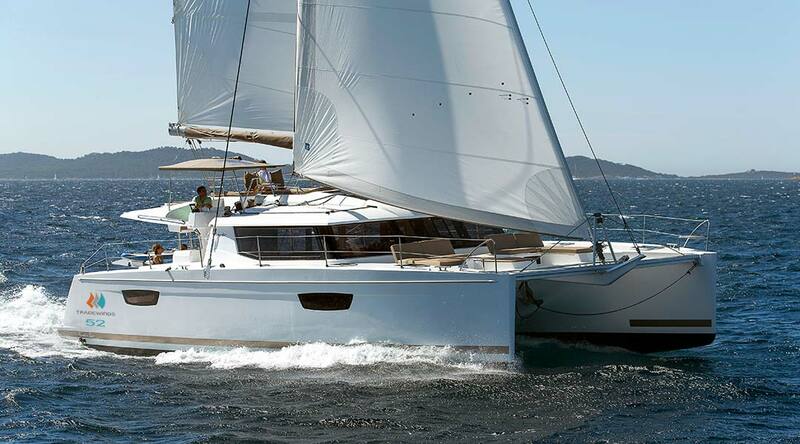 Set sail and cruise the ocean blue onboard one of our three luxury catamarans - TW7, TradeWinds 60 or TradeWinds 52. Built by renowned boat builders, Fountaine Pajot, each of our three exclusive models offer you and your guests the very best in space, stability, and speed. Discover a large cockpit, a flybridge offering spectacular views and a spacious layout that allows for storage of kayaks, paddleboards and dive equipment whilst you are aboard. The luxury suites provide the ultimate comfort with queen-sized beds, plenty of storage and a private en-suite toilet and shower. Spacious galley and saloon areas allow your chef to prepare sumptuous gourmet cuisines using only the freshest ingredients and entertain your guests with the latest entertainment systems whilst your captain prepares your cocktails. Your luxury yacht is ordered by us and factory-built for you by Fountaine Pajot in their shipyard in La Rochelle, France. We manage the entire end to end process on your behalf. 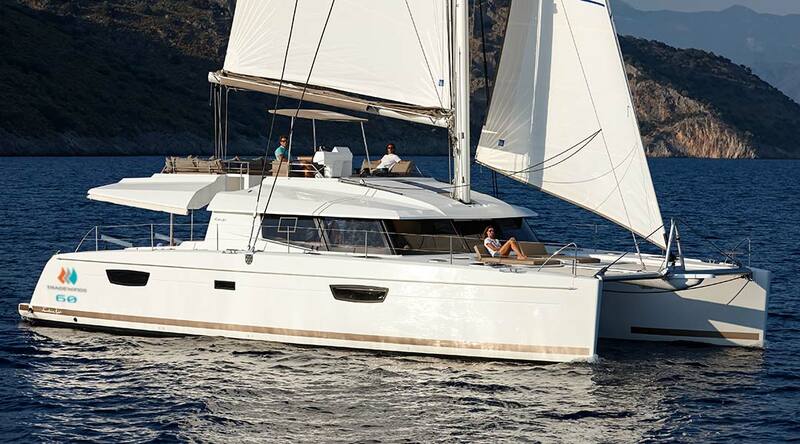 Fountaine Pajot has been designers and boat builders since 1976 and together with TradeWinds, have created the best of breed luxury, spacious and high performing yachts the market has to offer. 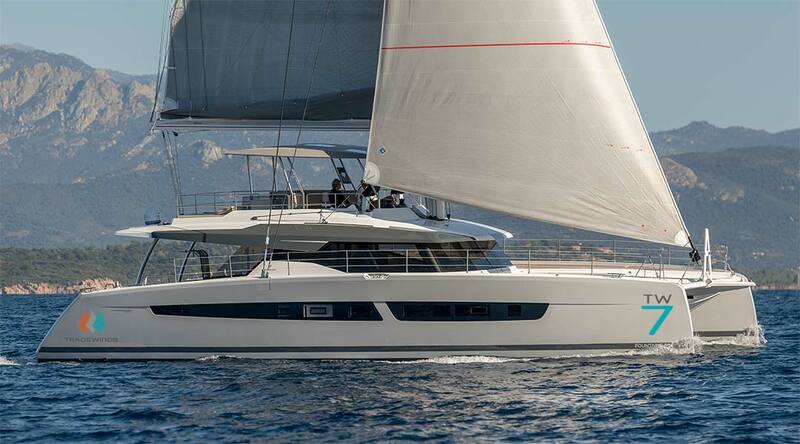 In the summer of 2020 TradeWinds will introduce the TradeWinds 20/20; a custom version of a Lagoon 77. This luxury "Super Yacht" that is definitely in a class of her own! This magnificent yacht is synonymous with first class luxury, elegance and opulence and will certainly make waves thanks to it's unparalleled design. Encapsulating a unique blend of style, sophistication and fun, the TradeWinds 20/20 has been designed for the most discerning of guests. The choice is yours and you'll receive professional yacht management and the chance to explore new waters aboard any of our 50 yachts in our fleet. Plus, we'll guarantee that you'll enjoy our world-renowned luxury, All-Inclusive charter experience - what's not to love! Tried and tested, the beauty of the TradeWinds Luxury Yacht Ownership Program is that we make it easy for you to purchase your own yacht and set sail to wherever your heart desires. In fact, the world is most definitely your oyster!